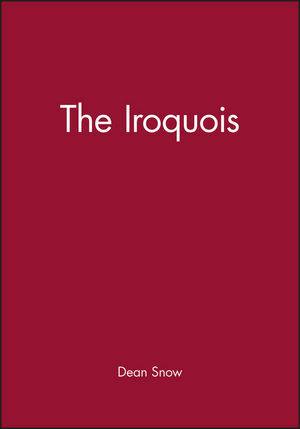 This is a comprehensive account of the five tribes - Onandagas, Senecas, Mohawks, Oneidas and Cayugas - who together made up the Iriquois nation, form their origins in prehistory to their dispersal and confinement after the American Revolution. This accessible account by the leading schlolar in the filed draws on the widest possible range of archaeological evidence to provide a narrative interpretation of a people whose beliefs and culture have remained to Americans matters of mystery. Dean Snow is professor and head of anthropology at the Pennsylvania State University. His previous books include The Archaeology of North America (1979) and The Archaeology of North American Indians (1989). 1. Origins: A. D. 900-1150: The Midwinter Moon. 2. Owasco: A. D. 1150-1350: The Sugar Moon. 3. The Development of Northern Iroquoian: The Fishing Moon. 4. The Rise of the League: 1525-1600: The Planting Moon. 5. The Coming of Europeans: 1600-1634: The Strawberry Moon. 6. The Year of Death: 1634: The Lost Moon. 7. The Struggle for Hearts and Minds: 1635-1700: The Green Bean Moon. 8. Iroquoia in the Balance: 1700-1750: The Green Corn Moon. 9. The Loss of Independence: 1750-1800: The Fresh Moon. 10. Revival and Subjection: 1800-1850: The Harvest Moon. 11. The Worst of Times: 1850-1900: The Hunting Moon. 12. The Rise of Modern Iroquois: 1900-1950: The Cold Moon. 13. The Contemporary Scene: 1950-2000: The Very Cold Moon. * The combination of archaeology, documentary history and ethnology is unique. * Expounds a new theory of Iroquois origins.